Increasing the Utilization of Maternity Care: Does Demand-Side Financing Work? In recent years, demand-side financial incentives have been increasingly used in low- and middle-income countries in an effort to address the well-documented economic barriers to maternal health care access and utilization. In March 2017, Hunter and colleagues published an article in PLOS One titled, “The effects of cash transfers and vouchers on the use and quality of maternity care services: A systematic review,” which included evidence from 51 quantitative studies of 22 programs across 20 countries in Latin America, sub-Saharan Africa and Asia. The programs fell into five categories of demand-side financial incentives: conditional cash transfers, unconditional cash transfers, short-term cash payments, vouchers for maternity care services and vouchers for merit goods. Description: Conditional cash transfers (CCTs) aim to increase utilization of maternity care services by making regular household payments conditional on participation in community meetings and/or use of health and education services. State of the evidence: CCTs were largely successful at increasing antenatal care (ANC) attendance, which was the most common outcome measured. Two studies found improved ANC quality, but both defined quality based on the number of procedures performed during an ANC contact. The effectiveness of CCTs for increasing skilled birth attendance (SBA), the second most common outcome measured, was positive but small. Based on few available studies, the evidence on facility-based birth and postnatal care was mixed. 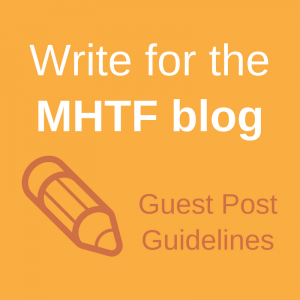 Description: Unconditional cash transfers are similar to conditional cash transfers and aim to alleviate the effects of poverty on maternal health without involving requirements of utilization. State of the evidence: Only one study on unconditional cash transfers was included in this review and found no evidence of an effect on ANC utilization, SBA or receipt of testing and counseling for HIV, tetanus vaccination and malaria treatment during ANC. Description: Short-term cash payments aim to offset health care costs and are typically made to women after they have utilized maternal health care at a facility. State of the evidence: Based on evidence from 13 studies, programs involving short-term cash payments that were contingent on either facility-based delivery or SBA had positive results. Results were inconclusive related to ANC or postnatal care. Description: Vouchers for services aim to reduce the cost of maternity care to patients at point of use—providers are later reimbursed. State of the evidence: Based on evidence from 19 studies on nine programs, vouchers for maternity care services resulted in greater utilization of ANC, SBA and facility-based birth. There was a smaller effect on postnatal care utilization. Description: Vouchers for merit goods aim to reduce the cost of buying items (such as food or soap) that promote maternal and newborn health. State of the evidence: The authors found only two studies, both examining the same program in Tanzania, which found that vouchers discounting the cost of insecticide-treated nets was associated with increased net usage. Neither study measured maternal or newborn health outcomes directly. So the question remains: Does demand-side financing work? There have been successful programs involving demand-side financial incentives in various countries examining different maternal and newborn health outcomes. However, additional rigorous research on the effectiveness of these strategies—including long-term effects—is needed in order to understand how to implement and scale programs across diverse settings. 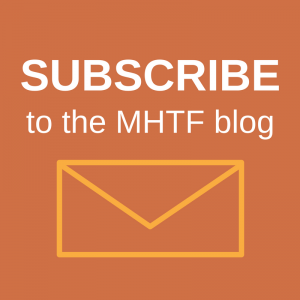 Learn more about cash transfers in maternal health on the MHTF blog. Are you working on an innovative program to improve maternal health? We want to hear from you!